A 6-0, 201-pound Aliquippa, PA native, Ty Law became first 'M' defensive back since Tripp Welborne to earn All-America honors. Law was chosen a first-team All-American by both Walter Camp and the Football News. A three-year starter, Law made 31 starts in his career, including 27 consecutive regular season starts. Law had 19 career pass break- ups, ranking him third on Michigan's all-time pass break-up list. Law also amassed 164 tackles and eight interceptions while wearing No. 22 for the Wolverines. 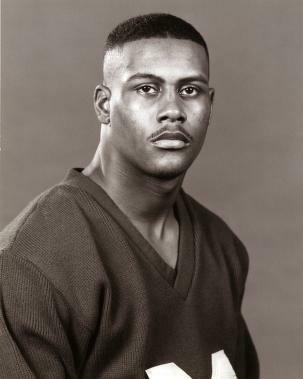 A unanimous All-Big Ten selection in both 1993 and 1994, Law was a first round draft pick of the New England Patriots in 1995.